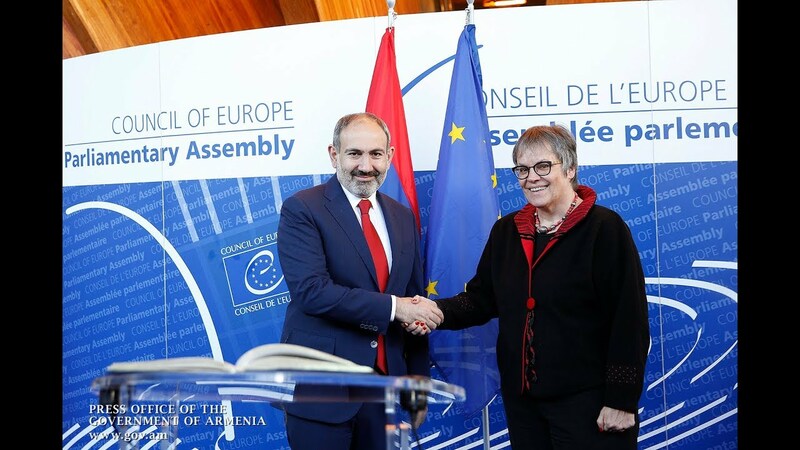 Armenia's call in the current peace negotiations over Nagorno-Karabakh (Artsakh) is for re-establishing rather than changing its format, Prime Minister Nikol Pashinyan said today, dismissing the allegations that his government seeks to alter the mandate of the OSCE Minsk Group. "The strange comment which is being made [comes from people who] say this is a proposal for changing the negotiation format. There are people in Armenia who say that; it's not only [Azerbaijani President] Ilham Aliyev, That's virtually a proposal for re-establishing vs. reshaping, the negotiation format;" he told reporters, emphasizing the fact that Artsakh was initially recognized as a negotiating party also by Azerbaijan (not only the international community). "When the Minsk Group came into being, they emphasized that representatives of Karabakh were being invited to the conference as an interest party. The 1994 ceasefire agreement was concluded by three parties, including Karabakh. That document was signed by the conflicting parties. Azerbaijan's minister of defense signed a document with the defense ministers of Armenia and Karabakh," Pashinyan added.